1. In Khabbassov family. All of them, parents and children, suffer continually from symptoms of radiation poisoning. 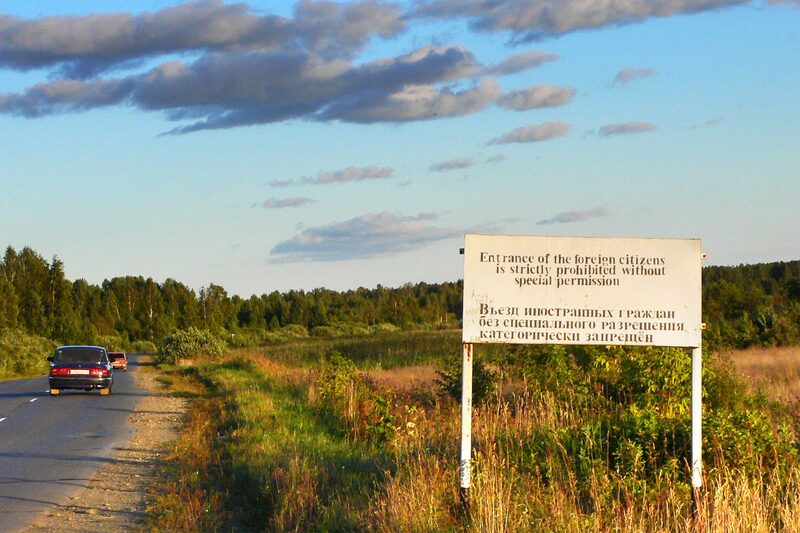 In 2007, the state authorities denied them the right to move away from the village of Muslyumovo, which is situated 32 km from a dumping site for radioactive waste from MAYAK. 2. The village of Novokurmanovo, Chelyabinsk Region. 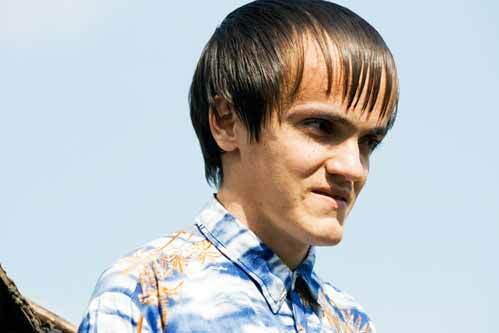 Since his birth, Ramzis Fayzullin has suffered from hydrocephalus, a syndrome known to be caused by genetic mutations. Both Ramzis’ parents and grandparents lived in villages on the banks of the river Techa. Nevertheless, so far he has not been able to prove the link between the radiation and the damage to his health, as doctors, under the pressure of the authorities, refuse to confirm its existence. The courts have turned the victims down as well. There has been only one case in Chelyabinsk Region in which it was successfully proven before a court that a child born in 1992 with severely malformed limbs carried genes inherited from his ancestors that had undergone mutation due to the radiation..
3. The family of Ramzis Fayzullin. As of 1 January 1950, there were 43 villages on the banks of the river Techa, with a combined population of a few thousand. As a child, Ramzis’ mother was among those who lived by the Techa, in the village of Muslyumovo. She recalls that nobody in the village understood why the river was said to be “dirty” or why no one was allowed to use it: “the water was the same as always, clear, and it didn’t smell of anything bad”. 4. Vladimir Arapov holding a photograph of his wife Lyudmila in his hands. 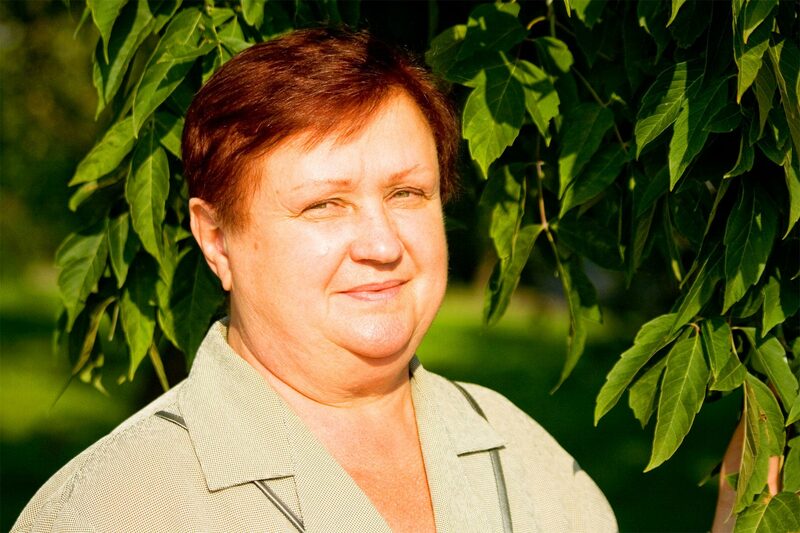 On 29 November 1957, Lyudmila was harvesting potatoes near the MAYAK industrial complex. The students continued bringing potatoes in from the fields for over a week after the accident, completely ignorant of the deadly danger. Lyudmila Arapova later developed cancer of the spleen and died. It has not been possible, though, to prove the link between her cancer and the radioactive contamination, because all records at Lyudmila’s school about the harvest work in 1957 have been destroyed. 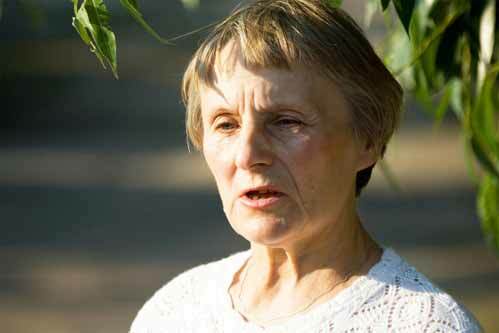 Her grandchildren can’t prove the link between their diseases and the radioactive contamination either. 5. People of Ozyorsk. 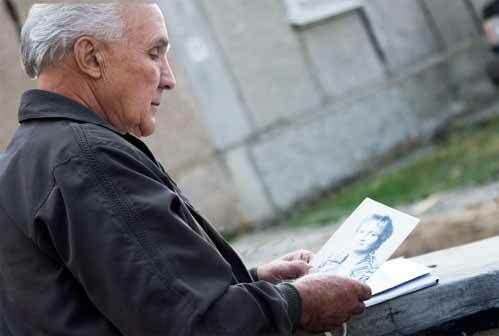 Anna Naplekova’s husband, the father of Tatyana Neplekova, worked in the “liquidation” efforts, the attempts to clean up and remedy the consequences of the accident in 1957. Tatyana was born with cognitive disabilities. After the death of her husband, Anna received an official statement confirming that her husband had had cancer because he had taken part in the liquidation efforts after the accident. Tatyana had to go to court three times in order to obtain a victim’s pass and a compensation pension of 100 roubles (2,5 Euro) per month for the loss of her husband. 6. Lyubov Ladeyshchikova lived in the closest village down the river Techa, 7 km away from the MAYAK complex. Lyubov remembers that there were always a lot of fish in the Techa. When the fish floated, dead, to the water’s surface, the children rejoiced at how easy it was to catch them, frying and eating them right on the riverbank. No one had any idea that substances with a total radioactivity of 1.4 million Curie had been released into the river over the course of 1950 alone. Once people began to fall ill and die, the village was evacuated. Lyubov’s family lost their house, and the village they moved to was polluted in the wake of the 1957 accident. 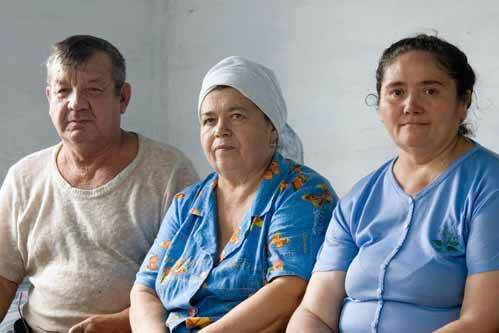 Every member of Lyubov’s family suffers from a disease related to radioactive contamination. 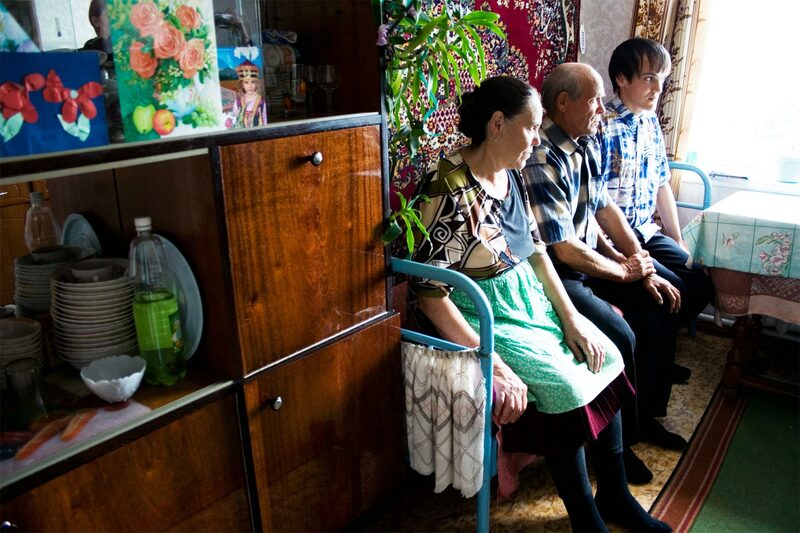 Lyubov’s brother is the only one of them who has succeeded in obtaining compensation – in the form of a flat after he moved away from the polluted area. 7. Ozyorsk – Behind barbed wire since 1948. Deep in the woods of the Urals a secret city was built for the people who worked at or helped to construct the MAYAK complex. Today, the city has a population of over 100 000, roughly 14% of whom work at the complex. A total of 120 000 people have worked at the complex since it was built. A special permit system regulates entry into and exit from the city. For example, all of its citizens, whether they work at the complex or not, are required to hold the official status of persons with access to state secrets, which is accompanied by substantial restrictions on their rights. 8. Tatarskaya Karabolka. 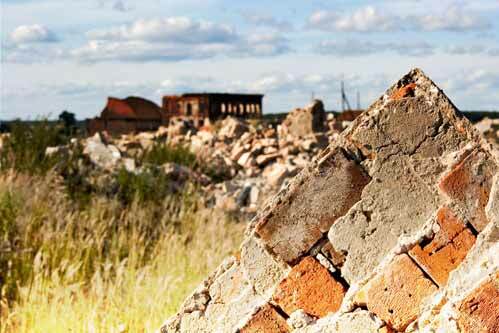 After the nuclear accident of 1957, 23 villages were evacuated and subsequently destroyed. 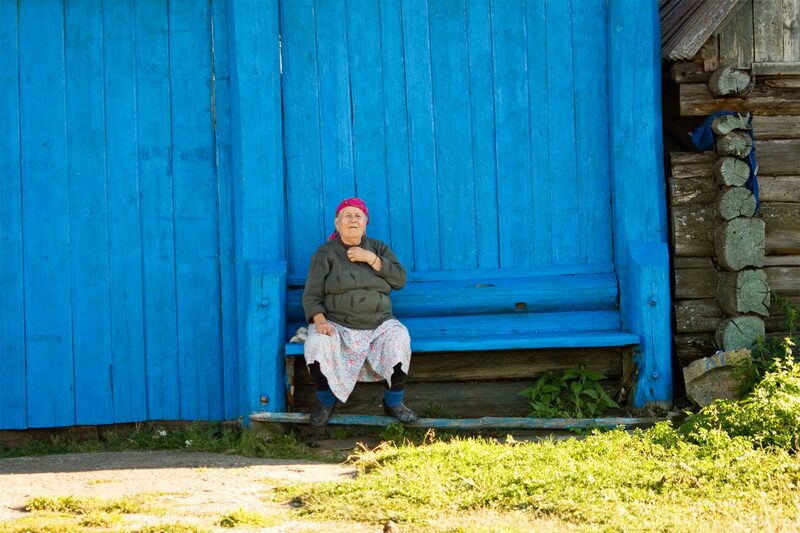 Among the villages identified for evacuation was Tatarskaya Karabolka. However, that village still exists today, and the authorities have no desire to pursue the issue of evacuating the village. There is an elevated level of radiation in this village to this day. 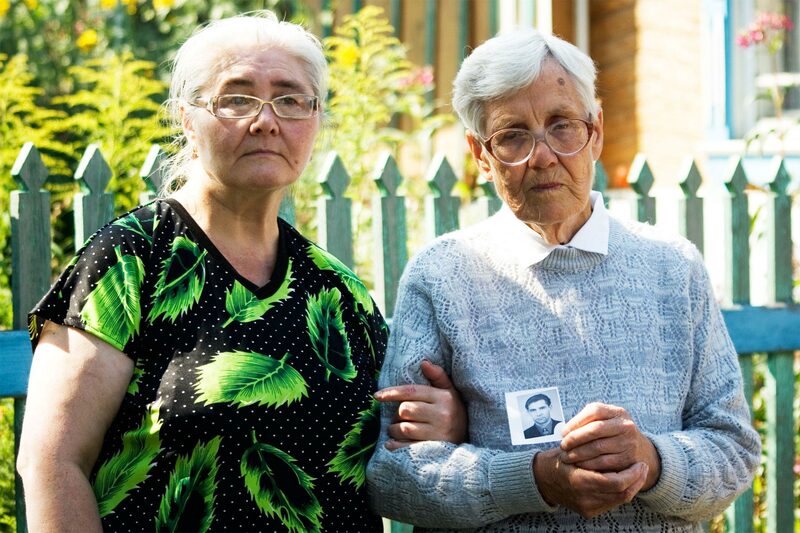 Together with their neighbours in the village, which has a population of around 400, Gulnara Ismagilova (photo, left) is fighting for the evacuation of the village. 9. 12 days of Nastya Salikhova. 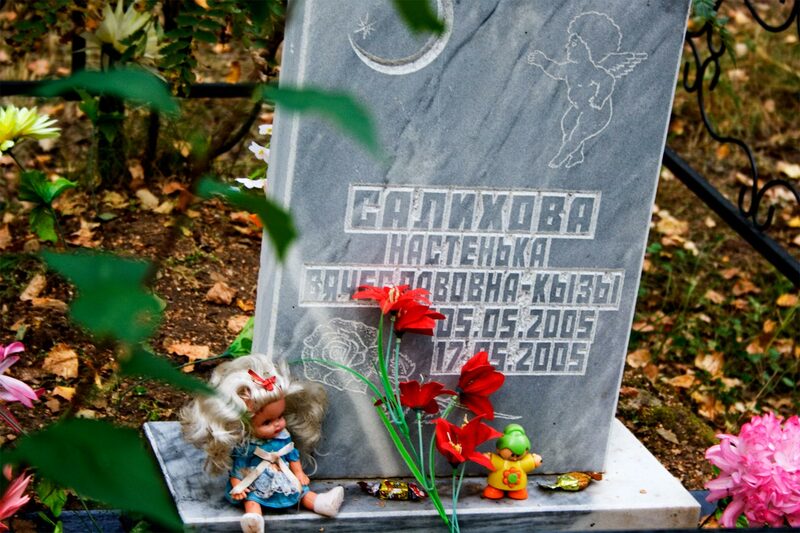 There are 7 cemeteries in the village of Tatarskaya Karabolka, containing quite a few children's graves. The impact of ionizing radiation is much more destructive on the organism of a child than it is on the adult organism. 10. 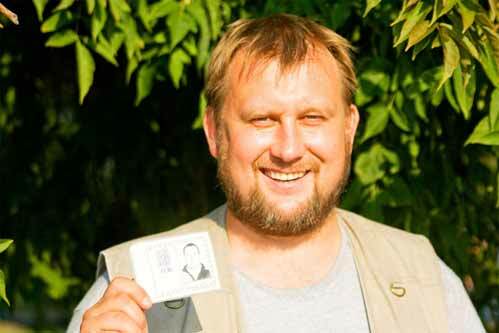 Valentin Galuzin worked as a controlling engineer at the “Ruslan” reactor of the MAYAK complex. On 9 September 2000, the unit was left without electricity for 45 minutes, creating the risk of another “Chernobyl-type” disaster. Working with the other engineers on duty, Valentin managed to prevent an explosion, which would otherwise have occurred within 4 minutes. After that incident, he quit his job. He is holding a permit for the so called “closed administrative territorial entity” (Russ. abbr. : ZATO) of Ozyorsk, a symbol of secrecy and covertness. If an accident like that of 1957 were to occur today, the outside world might not learn of it for quite a long time. As was the case 50 years ago, the enterprise tries to withhold information about accidents, under the pretext of protecting state secrets. 11. Dina Galuzina. She was sent to the MAYAK complex at the age of 19. A student at a construction engineering school, she completed an internship at the industrial facility of the MAYAK complex, where the radioactive fall-out after the accident released 18 million Curie of radioactivity. After the accident the streets in Ozyorsk were repeatedly swept, and the residents were forced to throw away their contaminated clothing. Nobody knows how high a dose of radiation Dina received. In 2006 she was diagnosed with breast cancer, but the doctors refused to establish any link with her exposure to radiation..
12. The Beryozovaya Roshcha Cemetery in Ozyorsk. These graves will be filled within one month. According to statistics, 3 to 10 citizens die daily. 13. 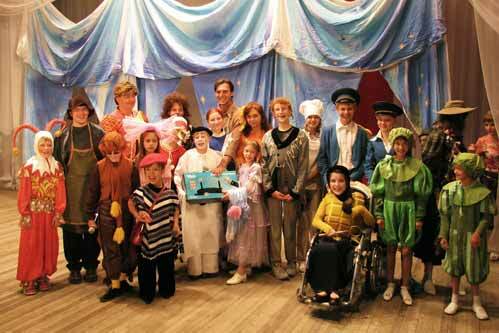 The theatre of the civic organisation “Our Children”. This organisation run by the parents of children with disabilities. There are 900 children with disabilities among the 100 000 citizens of Ozyorsk. The single specialised facility for children with severe disabilities has a capacity of 25 children, but in fact, there are already 33 children living there, and many more in need of treatment. 14. Warning. Following the 1957 accident, radioactive fall-out affected an area of approximately 20 000 sq. 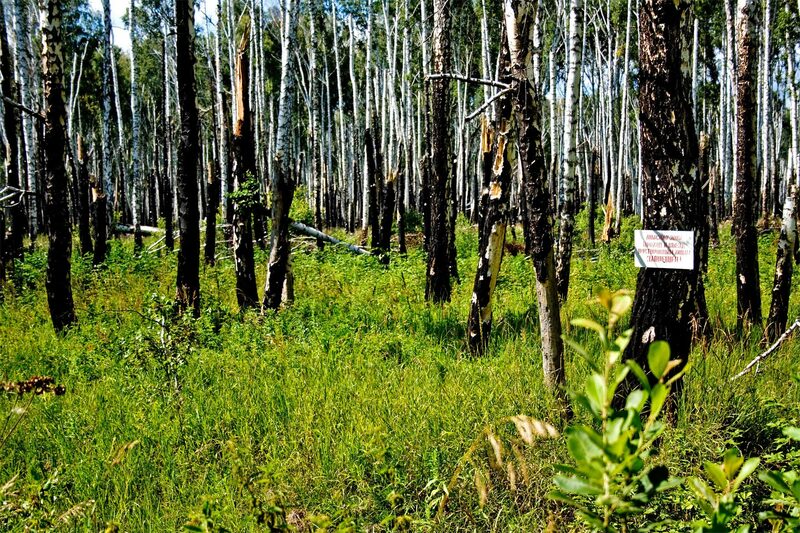 km – the so called “Eastern Urals Radioactive Track” (EURT). Later, part of that area was reopened for commercial exploitation. Despite the danger of radiation, there is no proper fence around the EURT-area, nor is it posted appropriately. 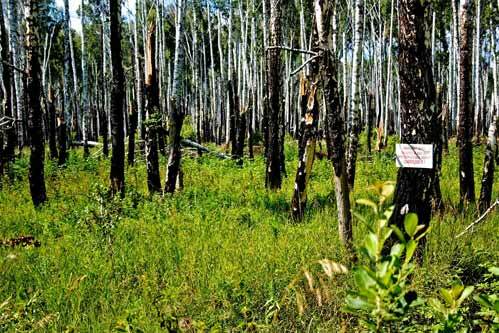 The only signs to be found are similar to this one – and they are set a distance of a few kilometres apart. 15. Here comes ZATO Ozyorsk. 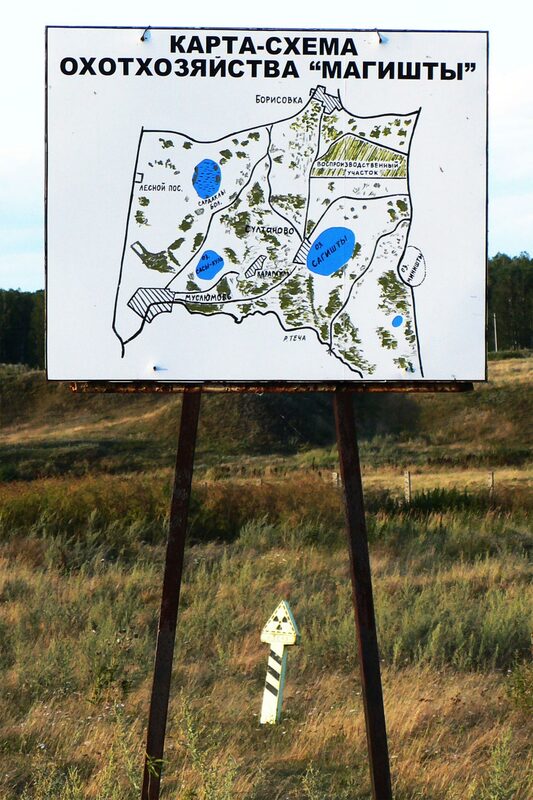 A sign indicating the limit of the Ozyorsk closed administrative territorial entity (ZATO Ozyorsk). Entry to this area is prohibited for citizens of foreign countries, although this limit is still kilometres away from the barbed-wire fence that encircles the city. Long years of secrecy have invoked a fear of imagined enemies that still persists in the local population. Were anyone armed with photo- or video cameras to stop at the sign, watchful locals would immediately inform the police. Yet at the same time, anyone can get a close-up view of all of Ozyorsk on satellite maps that are freely accessible on the Internet. 16. Downwind from MAYAK Lake Ulagach is located in the immediate proximity of the complex, next to the settlement of Novogorniy. Officially, this lake is clean. Nevertheless, two yeas ago, signs were posted here prohibiting trespassing by “unauthorised” persons. Wastewater from Plant No. 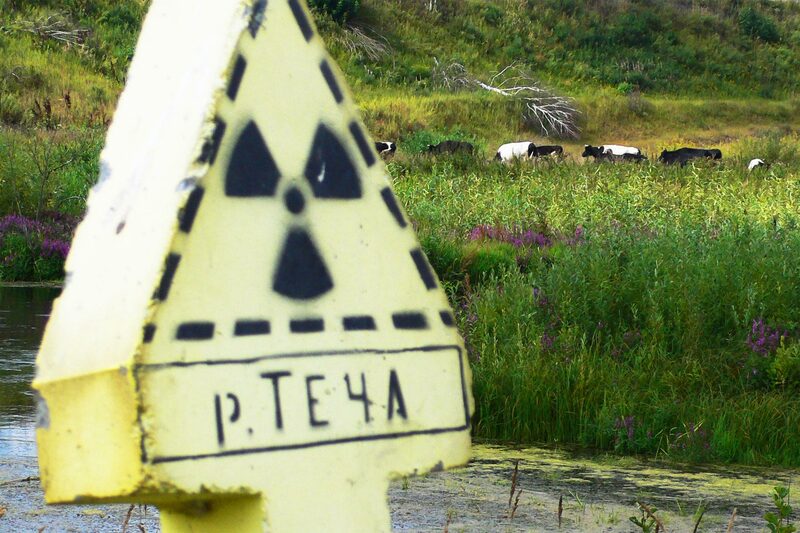 20 of the MAYAK complex is regularly dumped into the lake: it is contaminated with plutonium. 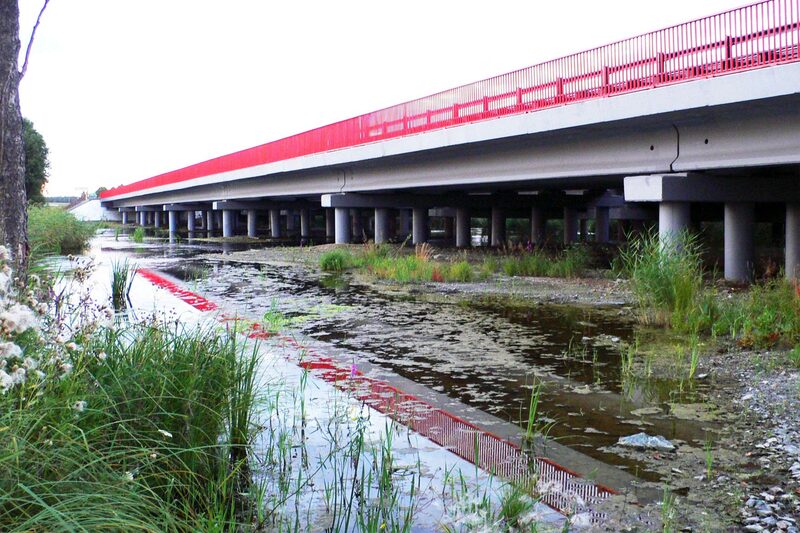 The gardens of the people of Novogorniy line the opposite bank. Each year an underwater fishing competition is held there. 17. 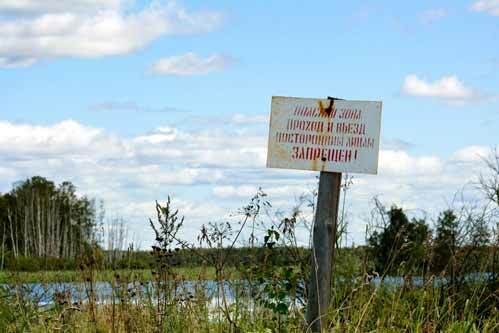 Irtyash Lake in Chelyabinsk Region was chosen as the site for MAYAK because of the large number of lakes there: vast amounts of water are required for operating a nuclear reactor, and for discharging and diluting radioactive waste. The Irtyash, located at the upper end of the Irtyash-Kasli lake system, is the only lake in the region that has remained unpolluted. Further down, all the other lakes and the Techa river have essentially become depositories for liquid nuclear waste. Karachay Lake, where MAYAK still dumps nuclear waste today, is one of the most polluted places on the planet. 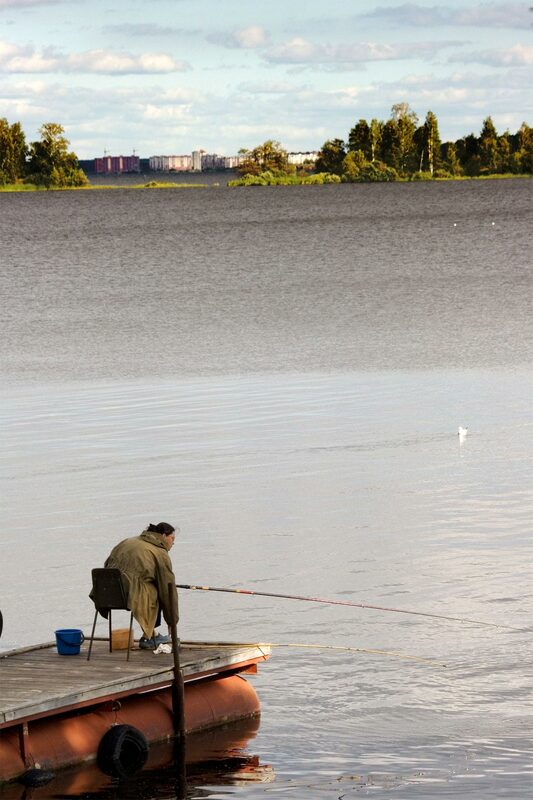 According to information from environmental organisations, the total radioactivity of all the substances released into the lake is equivalent to 8 times the emissions released in the wake of the Chernobyl accident. 18. Imperceptible danger. 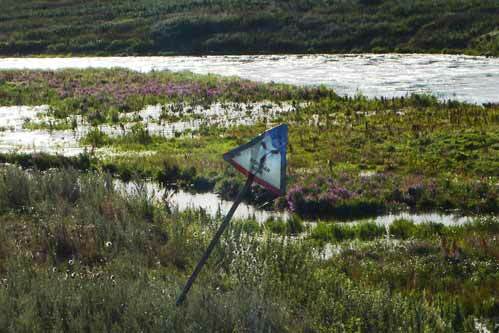 Until 2006, no signs marked the area along the Techa river contaminated by radioactivity. Then, under public pressure, MAYAK’s management finally decided to begin posting warning signs. Last year, 134 concrete “warning signs” about the danger of radiation appeared, but there are still too few of them and they are not very prominent. According to the complex management, the pollution level of the Techa “exceeds the norm only slightly“. However, employees of MAYAK are not allowed to work close to the river without special permission. Those who are sent to work by the river receive extra payment for the dangerous work. 19. Cattle cemetery gates. After the 1957 accident, 23 villages were dissolved. The buildings were demolished and the livestock slaughtered. 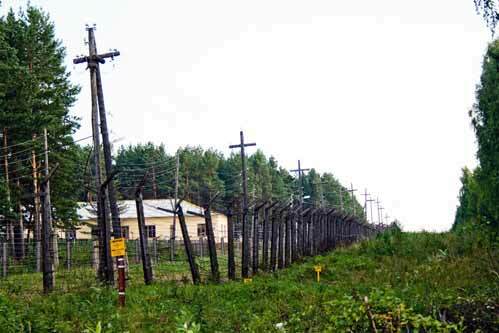 A special area, surrounded by barbed wire and posted with signs warning about radiation, was set up as a burial ground for the livestock. Today, though, it is neglected. It is not guarded, and there is no monitoring of the soil or ground water. 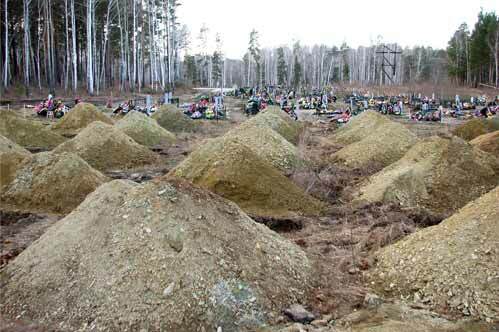 Due to lack of space, more burial sites were added over time – but these were set up spontaneously and are not marked with signs. For tens of thousands of years this area will present a danger for the population. 20. 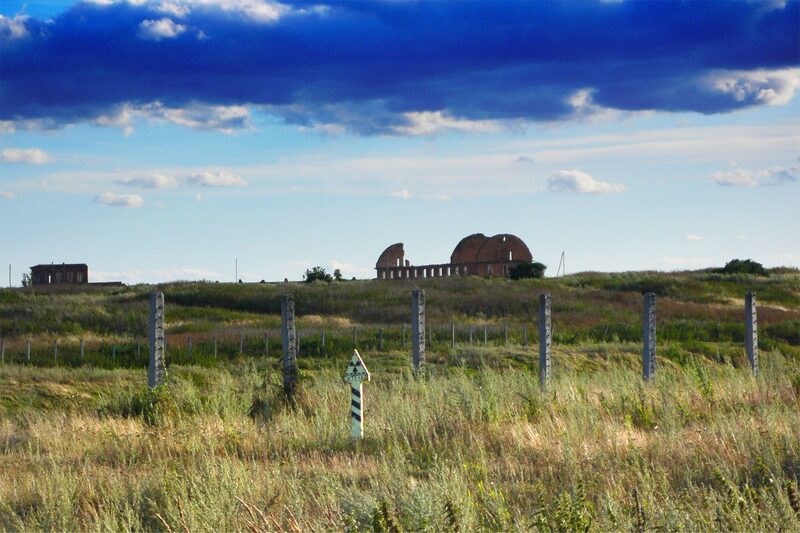 The “Eastern Urals Radioactive Track”(EURT) in Chelyabinsk Region: Radioactive substances emitted into the atmosphere after the accident were blown up to an altitude of 1-2 km by the explosion where they formed a radioactive cloud. Within four hours of the explosion the cloud had travelled over 100 km, and after 10-11 hours, the territory that would become the EURT had taken on its final shape. Two million Curie of radioactive fall-out came down, contaminating an area of 23 000 sq. km, which stretches over 350 km to the north-east of the MAYAK complex. 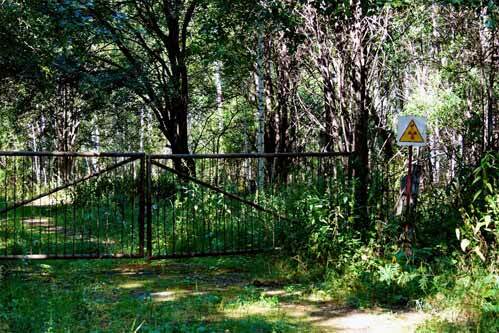 This radioactive zone extends over parts of three administrative regions (Chelyabinsk, Sverdlovsk, and Tyumen) with a population of 270 000 in 217 cities and villages. 21. Fungus EURTus. On the radioactively contaminated grounds of the Eastern Urals radioactive track (EURT) the mushrooms grow large and beautiful. Of course, they are also radioactive. The locals, by the way, seldom pay attention to the signs forbidding the picking of mushrooms or berries. 22. Berries have ripened. For inhabitants of the poor Bashkir villages in the vicinity of the MAYAK complex, picking mushrooms and berries in the contaminated area means a significant support for the family’s budget. 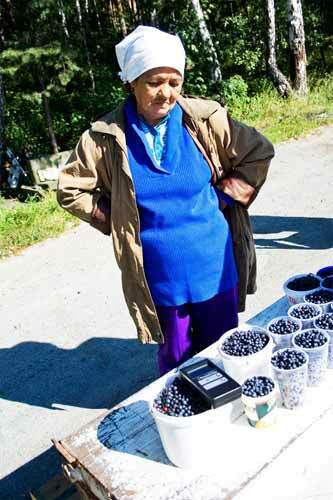 On the federal highway Yekaterinburg – Chelyabinsk, this woman is selling berries with an increased irradiation level. 23. Antlers. 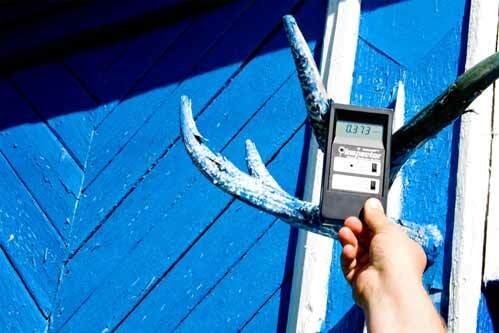 In the village of Tatarskaya Karabolka there is a tradition of hanging moose antlers at the entrance to one’s house. People also eat moose meat. However, moose meat and antlers are dangerous because of their high level of radioactive contamination. The dosimeter indicates a radiation exceeding 30 times the normal level. 25. Muslyumovo. Most of the towns and villages that were and are affected by the activities of the MAYAK complex, are agricultural, and are over 300 years old. Before the industrial complex was built, most of them were home to many farms and a large population. Today, the total population has decreased by 90 percent. 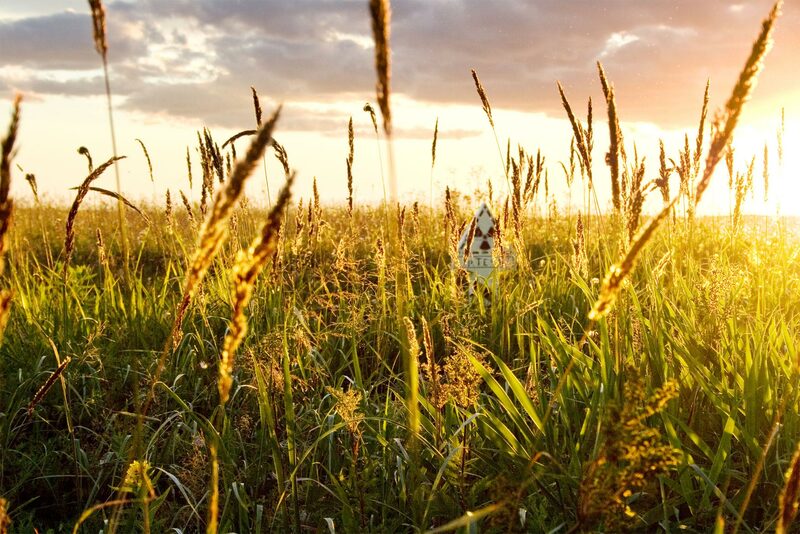 For those who remain, agriculture on the radioactively contaminated areas is the only way to survive. 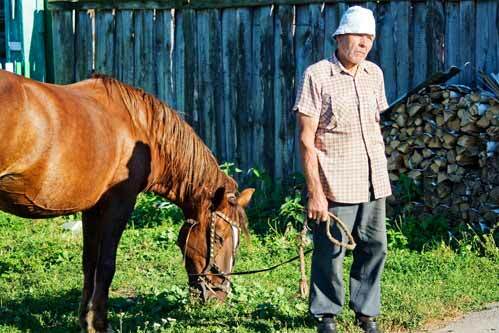 They catch fish in the river, which is polluted by radioactive waste, swim there, and drive their cattle there to drink. The main way that radioactive substances enter human organisms there is through the consumption of the meat and milk of livestock, and water. 26. The Techa river. The process of producing uranium and plutonium (out of reprocessing of spent nuclear fuel) results in a huge amount of liquid radioactive waste. There are three categories of this waste: high, medium, and low level waste. 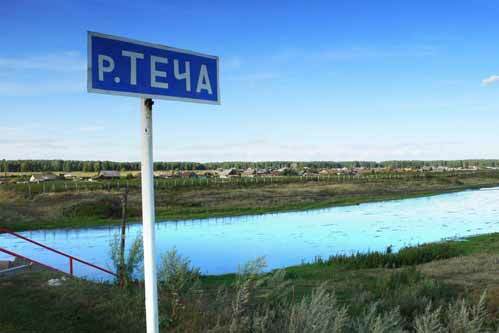 In the early years of its operation, the MAYAK complex dumped all of the waste it produced into the Techa river. When it became clear that the fatality rate in the villages along the river had increased drastically, the dumping of high and medium level waste was stopped. Low level waste, though, is still being dumped – even now, as you look through this exhibition. 27. Beware! 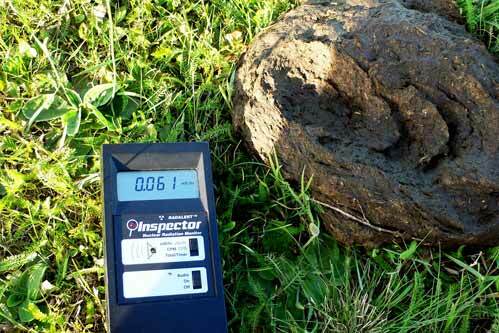 Radioactive waste of the digestive activities of cows. 28. Techa Meadows. In the spring, the Techa river floods the adjacent meadows, once the water has retreated, radioactive silt serves as fertiliser for the meadows, and the mature meadows become radioactive pasture-lands for the livestock of the local population. 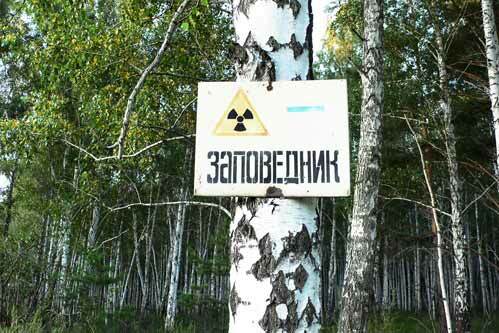 Residents of the radioactively contaminated area do receive compensation, in the amount of 200 roubles (ca. 6 Euro) per month. 29. Radiation danger warning signs are posted by the river, but there are still no other water sources. Contamination of the Techa is so high that its water is dangerous for both people and animals. Nevertheless, all attempts to set up a fence with barbed wire around the river have failed. 30. The tragedy affected everyone here. Practically everyone who lived in the village of Tatarskaya Karabolka 50 years ago and is still alive today is a victim of the 1957 accident. Most were busy harvesting not far from the MAYAK complex when the explosion occurred. Today’s village residents were exposed to intensive radiation in their childhood, but the authorities take the position that they are not entitled to any state support. 31. People: not essential. 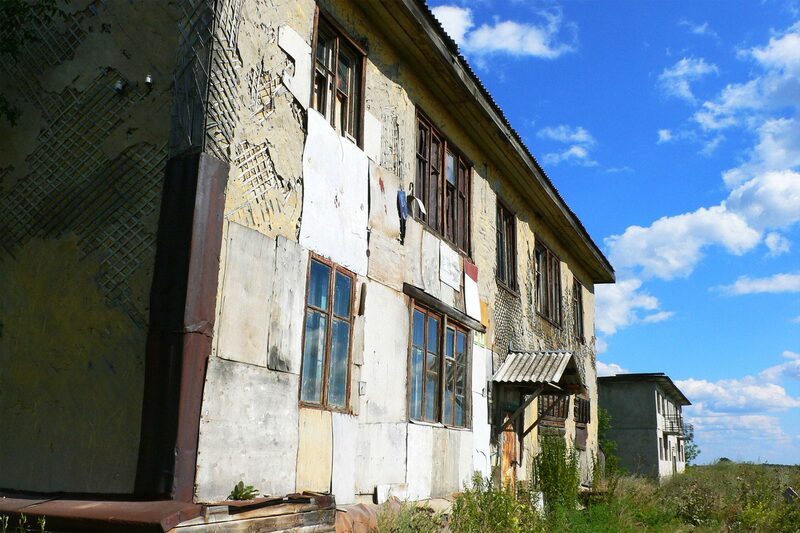 The village of Tatarskaya Karabolka, whose inhabitants became victims of the nuclear accident in 1957, was supposed to have been evacuated 50 years ago. But, as in many other cases, the authorities were not capable of fulfilling their duties. Today, the authorities refuse to evacuate the villagers (except for Muslyumovo’), or to acknowledge their status as victims. 32. The hunting organisation “Magishty”. The sign warning of radiation danger is posted right on the territory of the hunting organisation. 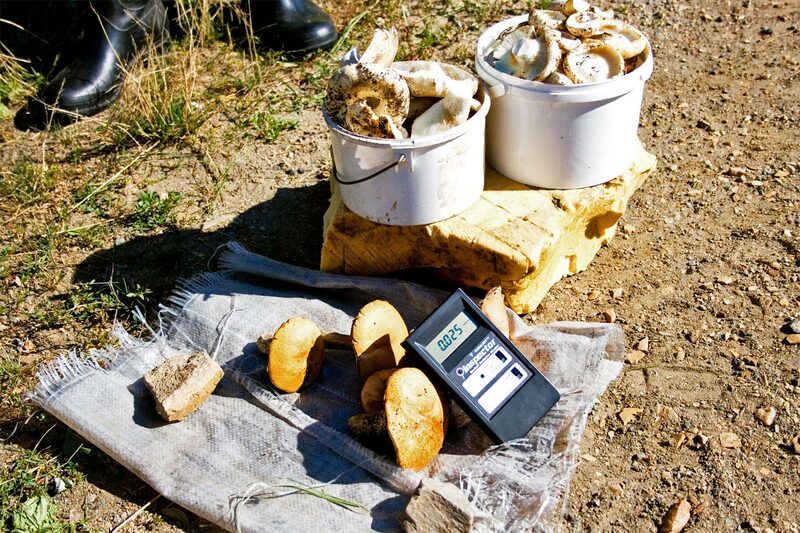 For many locals, hunting on the contaminated area is a way of feeding their families, and they can also sell contaminated game at markets in Chelyabinsk Region, circumventing the veterinary inspection in various ways. 33. The Yekaterinburg – Chelyabinsk federal highway. The bridge over the Techa river. There is a path leading down to the river, but no signs warning that it is dangerous to use the water or swim there. 34. Evacuated houses on the territory of the Eastern Urals Radioactive Track have already been occupied by new inhabitants. Perhaps, there is simply nowhere else for them to go. 35. Cows near the Techa river. 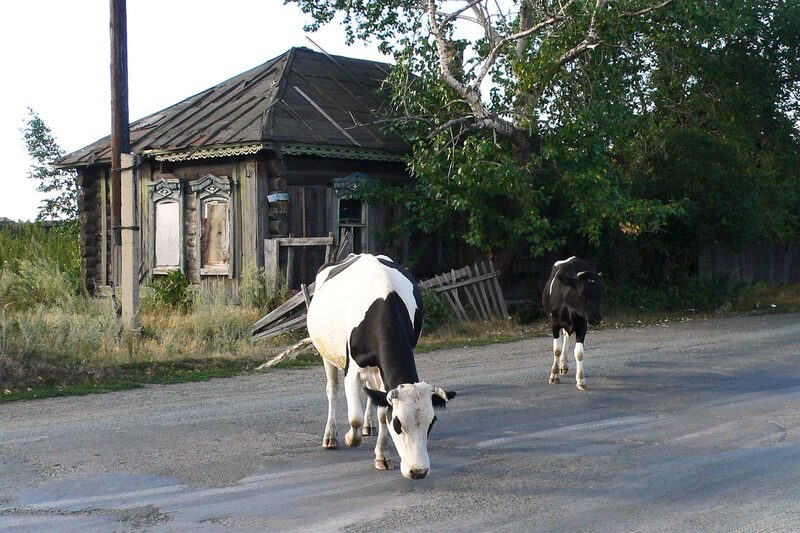 The cows of non-evacuated villagers are sent to pasture not far from the Techa. For 50 years now the people here have consumed radioactive milk and milk products, eaten radioactive meat, and drunk the radioactive water. 35. Ruins of Muslyumovo. ЭThis much-troubled village is one of four settlements by the Techa that still exist. Only people who lived in houses on the riverside were actually evacuated; the houses built right by the water were ruled out of bounds. They are slowly falling apart, right inside the village. 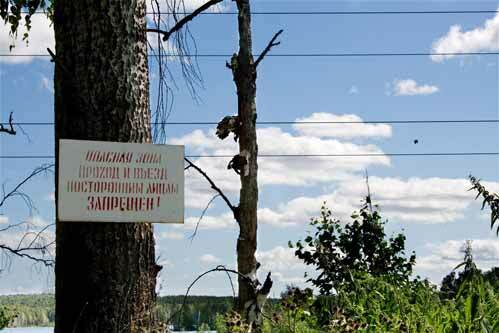 Most of the Muslyumovo’s residents, including the children, suffer from radiation-related diseases. For many years, officials from the nuclear sector have pretended that it is not dangerous to live in this village, as long as one “does not go to the river, does not swim, does not take water from the river, does not catch fishes, and does not hunt“.